Click on link below to register for the Daniel Mercer Memorial Tournament. Scroll down for more information regarding the tournament. The​ ​2019​ ​Daniel​ ​Mercer​ ​Memorial​ ​Tournament​ ​is​ ​a​ ​premiere​ ​tourney​ ​for​ ​community level​ ​travel​ ​teams.​ ​This​ ​is​ ​not​ ​for​ ​pure​ ​travel​ ​teams.​ ​If​ ​you​ ​are​ ​not​ ​sure​ ​if​ ​you​ ​qualify,​ ​please email​ ​or​ ​call​ ​information​ ​below.​ 7u​ ​and​ 8u​ ​“infield​ ​control”.​ 9u​ ​Little​ ​League​ ​rules​ ​(See Hitting Rules regarding bats - USSSA or Little League approved bats are permitted).​ 10u​ ​will play​ ​46/65​ ​modified​ ​rules.​ 11u​ ​will​ ​play​ ​50/70​ ​modified​ ​high​ ​school​ ​rules.​ 13u​ ​and​ 14u​ ​will​ ​play 60/90​ ​High​ ​School​ ​rules (See rules regarding continuous batting lineups).​ For the 14U division, USSSA A Classified teams will be permitted to participate. ​Please​ ​see​ ​Mercer​ ​Tourney​ ​Rules​ explaining​ ​pitching/lineup​ ​rules​ ​and other​ ​modifications. Locations:​ Franklin,​ ​IN​ ​(Games​ ​will​ ​be​ ​played​ ​at​ ​Creekside​ ​Elementary​ ​(700​ ​E.​ ​St.​ ​Rd.​ ​44), Scott​ ​Park​ ​(2064​ ​Younce​ ​St. ),​ ​Crowe​ ​Field​ ​(889​ ​Grizzly​ ​Cub​ ​Dr. ),​ ​and​ ​on​ ​our​ ​varsity​ ​baseball and​ ​softball​ ​facilities​ ​at​ ​Franklin​ ​Community​ ​High​ ​School​ ​(2600​ ​Cumberland​ ​Dr.). Daniel​ ​Mercer​ ​lost​ ​his​ ​courageous​ ​battle​ ​with​ ​cancer​ ​on​ ​Monday,​ ​May​ ​29,​ ​2006.​ ​He​ ​would​ ​have been​ ​a​ ​2006​ ​graduate​ ​of​ ​Franklin​ ​Community​ ​High​ ​School.​ ​An​ ​athlete​ ​and​ ​avid​ ​outdoorsman, Daniel​ ​participated​ ​in​ ​football,​ ​wrestling,​ ​and​ ​baseball.​ ​He​ ​also​ ​enjoyed​ ​hunting​ ​and​ ​fishing. Daniel​ ​was​ ​a​ ​member​ ​of​ ​National​ ​Honor​ ​Society.​ ​He​ ​was​ ​an​ ​outstanding​ ​athlete​ ​who​ ​was​ ​a state-ranked​ ​wrestler,​ ​honorable​ ​mention​ ​all-state​ ​in​ ​football,​ ​and​ ​a​ ​Division​ ​I​ ​talent​ ​in​ ​baseball. Daniel​ ​was​ ​truly​ ​one​ ​of​ ​a​ ​kind.​ ​He​ ​possessed​ ​a​ ​unique​ ​blend​ ​of​ ​intelligence,​ ​talent,​ ​and​ ​wit​ ​that was​ ​uncommon​ ​in​ ​someone​ ​so​ ​young.​ ​He​ ​had​ ​the​ ​ability​ ​to​ ​succeed​ ​at​ ​extremely​ ​high​ ​levels irrespective​ ​of​ ​his​ ​chosen​ ​field​ ​of​ ​endeavor.​ ​He​ ​had​ ​the​ ​type​ ​of​ ​ability​ ​and​ ​charisma​ ​that​ ​could have​ ​allowed​ ​him​ ​to​ ​succeed​ ​in​ ​almost​ ​any​ ​arena.​ ​He​ ​lit​ ​up​ ​the​ ​room​ ​when​ ​he​ ​entered.​ ​People took​ ​notice,​ ​they​ ​couldn't​ ​resist.​ ​He​ ​had​ ​that​ ​special​ ​something​ ​that​ ​made​ ​him​ ​irreplaceable.​ ​In honor​ ​of​ ​their​ ​late​ ​son,​ ​Jeff​ ​and​ ​Pam​ ​Mercer​ ​of​ ​Franklin​ ​have​ ​established​ ​the​ ​Daniel​ ​P.​ ​Mercer Family​ ​Fund.​ ​The​ ​fund​ ​supports​ ​financially​ ​the​ ​"Set​ ​a​ ​Good​ ​Example"​ ​awards​ ​given​ ​each​ ​year at​ ​both​ ​Franklin​ ​Community​ ​High​ ​School​ ​and​ ​Franklin​ ​Community​ ​Middle​ ​School.​ ​In​ ​addition, the​ ​fund​ ​sponsors​ ​special​ ​projects​ ​such​ ​as​ ​Make​ ​a​ ​Wish​ ​trips​ ​and​ ​the​ ​creation​ ​of​ ​a​ ​children's book​ ​"Common​ ​Ground"​ ​which​ ​has​ ​been​ ​distributed​ ​to​ ​schools,​ ​churches​ ​and​ ​hospitals​ ​free​ ​of charge. Thank you to the Mercer family and all coaches and players for a very successful Mercer 54 Camp! 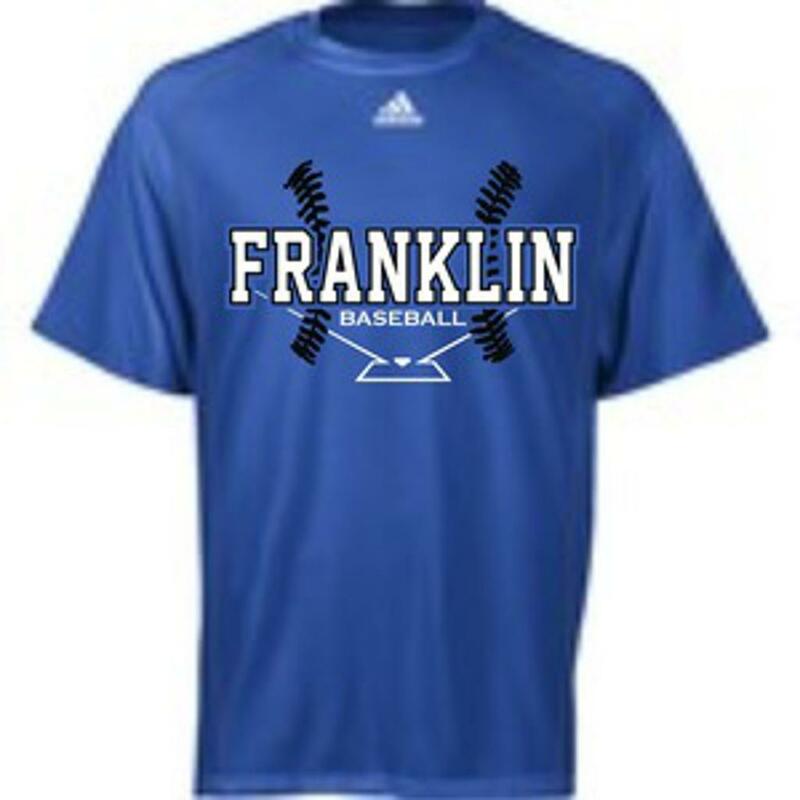 Do you want to help Franklin Youth Baseball? If so, please consider a donation to the below link. Franklin Youth Baseball is a 501(C)(3) and your donation could be tax deductible. Franklin Youth Baseball is our travel/showcase program, located in Franklin, Indiana, that provides a great opportunity for an exceptional baseball experience for the youth in our community who are seeking a higher level of competition and development. With the guidance of our High School baseball coaches, we are dedicated to teaching the fundamentals of baseball while instilling the ideals of good sportsmanship, team play, honesty, loyalty, and courage. Franklin Youth Baseball is a 501c3 organization. Mercer 54 Camp a great success! ©2019 Franklin Youth Baseball / SportsEngine. All Rights Reserved.